Oral tablets and capsules, both immediate and extended release. Many intramuscular and intravenous injectable options. The substance is typically safe and effective when used under the direction of a physician, but the pain reliever carries the risk of morphine addiction and dependence, particularly when misused or abused 1,3. For these reasons, the Drug Enforcement Administration (DEA) labels the medication as a Schedule II controlled substance 1. With the established risks, some people will seek to quit abusing morphine before ill effects can occur. Unfortunately, an individual who is dependent on morphine will likely experience the onset of unwanted physical and mental health symptoms 3,4. These unpleasant morphine withdrawal symptoms can range in intensity from uncomfortable to debilitating. The drug addiction process can begin with a single use of a drug, depending on the strength of its addictive properties. Even marijuana, a drug that is considered non-addictive by some professionals, may become habitual. Any continuous stimulation of the chemical receptors in the brain can lead to addiction. Over time, the brain becomes dependent on the stimulation, so any lapse in drug use may cause adverse reactions. 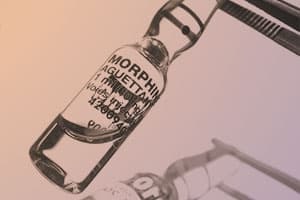 Find Treatment Options: Morphine withdrawal is a significant event that requires professional intervention in many cases. To find detox treatment options that will limit the distress of withdrawal for yourself or a loved one, search our directory for a variety of programs. Concurrent physical and mental health issues. PAWS can continue for up to 6 months after the initial detox process has been completed. For example, an extended-release morphine version will stay in the body longer than other options, so detox symptoms will emerge later. Even after acute morphine withdrawal symptoms have ended, some people may continue to experience additional withdrawal as part of a post-acute withdrawal syndrome (PAWS) 8. Also known by names like protracted withdrawal and extended withdrawal, these symptoms can continue for up to 6 months after the initial detox process has been completed. Cardiac problems: With the impact on heart rate and blood pressure, opioid withdrawal can pose a cardiovascular risk to people, especially those with preexisting problems. Dehydration and electrolyte imbalance: Morphine withdrawal can lead to vomiting, increased sweating, and diarrhea, resulting in dehydration and electrolyte imbalance. 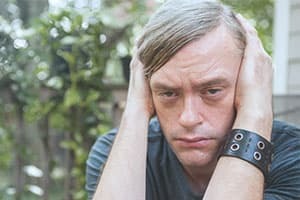 Anxiety symptoms: Increased anxiety is likely in anyone detoxing from morphine, but people with previous anxiety disorders can experience even more intense anxiety and panic attacks. Increased pain and discomfort: Without morphine’s ability to lessen pain, new or returning perceptions of pain may appear. These complications can encourage people to medicate with other drugs or to restart morphine use after a period of abstinence. Neither option is safe and restarting use increases the risk of morphine overdose. The National Institute on Drug Abuse reports that more than 23,000 people died from morphine and other prescription opioids overdoses in 2015 alone 3. Professional drug detox can effectively treat withdrawal symptoms and reduce cravings, leading to a more comfortable experience. Since morphine withdrawal is not usually fatal, people may seek to detox at home without professional care. This plan may result in needless suffering, though, since professional drug detox can effectively treat withdrawal symptoms and reduce cravings, leading to a more comfortable experience 6,9. Many programs will focus on safely tapering use of morphine or beginning a course of medication-assisted treatment (MAT) to support recovery 6,9. Medications may include Suboxone, a combination formula designed to alleviate cravings and mitigate withdrawal symptoms, and Methadone, a slow-acting opioid medication that can increase comfort during detox as well as ease morphine cravings 6. Detox options for drug abuse are usually categorized in two groups: inpatient and outpatient 6,9. Inpatient: This level of care applies to any detox program that requires the individual to leave their home to live and receive detox treatment in the facility. Inpatient treatment is more intense than outpatient and offers 24-hour care, to help prevent or address complications that may arise. Outpatient: This level of detox allows the individual to maintain most aspects of their life while traveling to a treatment center for scheduled appointments. Appointments can be scheduled according to the patient’s individual needs. Settings for outpatient detox treatment include doctor’s offices and community substance abuse centers. Following morphine detox, it will be valuable for the individual to continue professional morphine addiction treatment. Detox, alone, is not usually sufficient to maintain long-term recovery 9. Comprehensive substance abuse treatment can provide a patient with relapse prevention and coping skills necessary to avoid triggers and lead a healthy, sober life. National Highway Traffic Safety Administration. (n.d.). Morphine (and Heroin). U.S. National Library of Medicine: Medline Plus. (2017). Morphine.